Summit Drilling is a leading provider of environmental drilling services. There are several reasons why Summit is a preferred partner of the top environmental engineering firms in the country. To name a few, all of Summit’s customers have benefited from their industry-leading drilling, sampling and injection expertise, as well as their large fleet of diverse equipment. 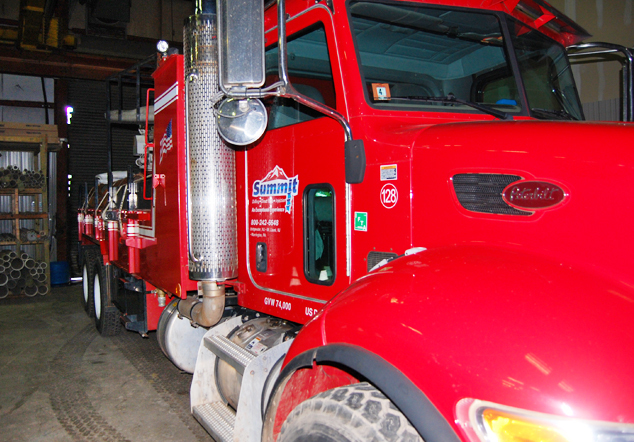 Customers also count on Summit’s seasoned drillers and injection specialists because day in and day out, they consistently get the job done well. Many are also impressed by Summit’s safety program and commitment to continuous safety training as well as their mandatory weekly team meetings. And last but certainly not least, Summit’s veteran operations team regularly receives high marks for meeting difficult project schedules and budgetary requirements. Summit is a good company with a long track record of success and despite all of their accomplishments; they recognize that being a good company is not enough. In order to keep their promise of an exceptional experience, they are committed to continually increasing knowledge, professionalism, scope of service, administrative processes and customer service focus. What does an exceptional experience mean to you? Answers to this question are one way that Summit Drilling can better understand what you value most. Thank you in advance for answering it and helping Summit serve you better. Summit has additional locations in Runnemede, NJ and Albany, NY, enabling them to effectively service Washington, DC, Maryland, Delaware, Pennsylvania, New York, Connecticut and Massachusetts.